The overall goal of our M2CH Center for Cancer Systems Biology (M2CH-CCSB) is to improve management of triple negative breast cancer (TNBC) by developing systems level strategies to prevent the emergence of cancer subpopulations that are resistant to treatment. We postulate that heterogeneity arising from epigenomic instability intrinsic to cancer cells and diverse signals from extrinsic microenvironments in which cancer cells reside are root causes of resistance. We learn how intrinsic and extrinsic factors influence differentiation state, proliferation and therapeutic response in TNBC through experimental manipulation and computational modeling of cancer cell lines, 3D engineered multicellular systems, xenografts and clinical specimens. We deploy single cell ‘omic and imaging technologies that allow quantitative assessment of molecular, cellular, and structural heterogeneity. We interpret these data using computational models that define control networks and structures in heterogeneous systems as well as transitions between states of therapeutic resistance and sensitivity. This is accomplished in three related Projects and three Cores. Project 1 focuses on measuring and managing resistance-associated heterogeneity intrinsic to cancer cells. Project 2 focuses on identifying resistance-associated signals from the microenvironment and on mitigating effects from these signals on therapeutic response. Project 3 applies spatial systems biology approaches to TNBC specimens and multicell type models thereof to discover molecular control networks that influence how cell intrinsic plasticity and microenvironment signaling alter therapeutic responses in complex tissues. All Projects analyze core cell lines, patient derived cultures, and FDA approved, pathway-targeted drugs (afatinib, ruxolotinib, trametinib, BYL719, cabozantinib, and everolimus). An Imaging Management and Analysis Core provides infrastructure and image analytics that enables efficient image data management, quantitative analysis of image features, and visualization of images and metadata generated using multiscale light and electron microscopy. An Outreach Core makes available educational materials, experimental and computational tools and data to the scientific community. Joe W. Gray, Ph.D., a physicist and an engineer by training, is the Gordon Moore Endowed Chair in the Department of Biomedical Engineering and serves as Director for the Center for Spatial Systems Biomedicine and Associate Director for Biophysical Oncology at the Knight Cancer Institute at Oregon Health & Science University. He also serves as co-PI of an NIH LINCS project on effects of the microenvironment on cell phenotypes and a clinical trial aimed at understanding cancer evolution under treatment through Serial Measurements of Molecular and Architectural Responses to Therapy with which the M2CH-CCSB interacts. Dr. Gray’s research program applies experimental and mathematical tools to elucidate mechanisms by which genomic, transcriptional and proteomic abnormalities occur in selected cancers including how these abnormalities alter the multiscale architecture of cancers and their microenvironments cancer pathophysiology and how these changes contribute to cancer progression and response to therapy. He brings substantial experience in development and application of advanced measurement technologies. He has contributed to development of cytometric techniques for cell and genome analysis including high speed chromosome sorting, BrdUrd/DNA analysis of cell proliferation, Fluorescence In Situ Hybridization, Comparative Genomic Hybridization and End Sequence Profiling. More recently, Dr. Gray has elucidated mechanisms of cancer progression and developed systems biology approaches for identification of molecular markers that predict and determine response to therapeutic treatment. Currently, he is applying multiscale image analysis approaches to identify multiscale (Ängstroms to millimeters) structures that lead to therapeutic resistance. Rosalie Sears, Ph.D. is a Professor in the Department of Molecular and Medical Genetics and a senior member of the Knight Cancer Institute and the Center for Spatial Systems Biomedicine at Oregon Health & Science University. She is also Co-Director of the Brenden-Colson Center for Pancreatic Care at OHSU, where she has built the infrastructure for deep omic analysis of longitudinally collected patient samples as well as propagation of primary patient tumor cells. This infrastructure is contributing to a multi-organ site clinical trial at OHSU aimed at understanding cancer evolution under treatment through the M2CH-CCSB. The Sears Lab studies cellular signaling pathways that control tumor cell behavior, with an emphasis on the management of tumor phenotypic heterogeneity and cell plasticity contributing to therapeutic resistance. Her research focuses on the convergence of signaling pathways on the c-Myc oncoprotein and how this impacts Myc’s expression, activity, and its regulation of cell fate. Myc is constitutively overexpressed in the majority of human tumors and studies have demonstrated that this affects both tumor cell state (proliferation, differentiation, metabolism) as well as cross-talk with the tumor microenvironment affecting immune surveillance and vasculature. Dr. Sears’ work reveals new ways to target post-translational activation of Myc that suppress tumor cell plasticity and phenotypic heterogeneity. Claire Tomlin, Ph.D. is the Charles A. Desoer Professor of Engineering in the Department of Electrical Engineering and Computer Sciences at the University of California, Berkeley. Dr. Tomlin works in the area of dynamics, control and learning for hybrid systems, with applications to biology and engineering. She and her group have designed mechanistic and data-driven ODE models of the HER2+ signaling network in breast cancer, which led to design and test a pre-treatment scheme for steering the signaling network, and she has worked on understanding and developing models of phenotypic heterogeneity in breast cancer. In addition, she has developed high fidelity and deep mechanistic models of embryonic development, through a coupled process of biological experiments and mathematical modeling and analysis tasks in Drosophila, as well as models to understand the spatio-temporal architecture and molecular details of Planar Cell Polarity signaling. Her group develops tools for control system analysis and design using reachability and machine learning. Heidi Feiler, Ph.D. is a Research Associate Professor and the Deputy Director, Center for Spatial System Biomedicine at OHSU. She serves as Center Administrator for the M2CH-CCSB and is the primary contact for the logistical and organization aspects of the center to ensure that the goals are achieved. She works with the Center leadership to establish program governance, and communications strategies within the Center, with the External Advisory Committee, the CSB Consortium, the CSBC/PS-ON Coordinating Center (Sage Bionetworks), NCI, and other NCI large data initiatives. She oversees the center’s resources and budgets, compliance and reporting activities, the intra-center pilot project proposal process, and provides logistics support to the Outreach Core, to coordinate the Center SAGE-Synapse website and DREAM Challenge events, workshops and symposia. She also coordinates personnel exchanges and ensures that resources available through the M2CH-CCSB are available to the researchers in the CSBC and the broader research community. Emek Demir, Ph.D. is an Assistant Professor of Molecular & Medical Genetics at Oregon Health & Science University. Dr. Demir’s overall research integrates multi modal profiles and pathway information to provide mechanistic explanations with a specific focus on cancer. His work on pathway informatics led to the development of the largest human pathway database, Pathway Commons and numerous tools and algorithms. Ellen Langer, Ph.D. is a Postdoctoral Researcher in Rosalie Sears’ laboratory in the Department of Molecular and Medical Genetics at Oregon Health & Science University. Her current work focuses on mechanisms of cellular plasticity in cancer cells as well as in stromal cells within the tumor microenvironment. Andrew Adey, Ph.D. is an Assistant Professor in the Department of Molecular and Medical Genetics at Oregon Health & Science University. His past work has involved the development of numerous genome sequencing technologies for the acquisition of sequence contiguity information and for the interrogation of a variety of epigenomic properties. His current work involves the development of single cell genome and epigenome technology platforms to profile thousands of single cells in parallel. James Korkola, Ph.D. is an Assistant Professor in the Department of Biomedical Engineering and member of the Knight Cancer Institute and OHSU Center for Spatial Systems Biomedicine. Dr. Korkola’s laboratory focuses on how the microenvironment alters the phenotype of cancer cells, including their proliferative potential, differentiation state, and response to targeted therapeutics. He has developed and implemented MicroEnvironment MicroArray technology at OHSU to study simple combinatorial microenvironment factors for their effects on cancer cell phenotypes. His laboratory has applied MEMA technology to the study of HER2+ breast cancer, where it was found that different factors within the microenvironment can confer resistance to lapatinib, but in tumor subtype specific manner. Currently, Dr. Korkola is applying MEMA technology to other subtypes of breast cancer to identify microenvironment modifiers of drug response. Laura Heiser, Ph.D. is an Assistant Professor in the Department of Biomedical Engineering and member of the Knight Cancer Institute and OHSU Center for Spatial Systems Biomedicine. Her laboratory is focused on understanding mechanisms of therapeutic response and resistance, using novel imaging and omic analysis techniques to identify phenotypic changes associated with molecular aberrations and therapeutic response, and studying the influence of the microenvironment on cancer cells. Xiaolin Nan, PhD is an Assistant Professor in the Department of Biomedical Engineering, and a member of the Knight Cancer Institute and the OHSU Center for Spatial Systems Biomedicine. Dr. Nan’s biophysics laboratory develops quantitative single-molecule and superresolution microscopy techniques for high resolution imaging of cells and tissue sections in up to tens of colors. The Nan Lab is also applying these powerful imaging tools to investigate the spatiotemporal regulation of the HER family receptors and the Ras GTPases at the nanometer and single-molecule scales. 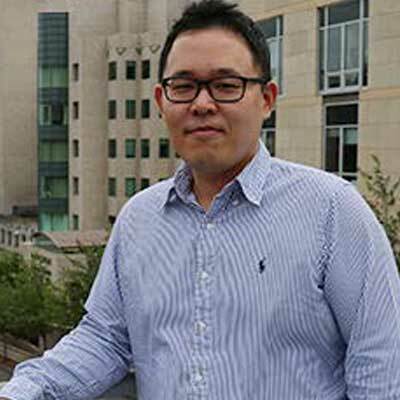 Young Hwan Chang, Ph.D. is an Assistant Professor of Biomedical Engineering and Computational Biology and a member of the OHSU Center for Spatial Systems Biomedicine. His current work focuses on developing image analysis tools for multiplexed imaging data to characterize subtypes and understand spatial distribution of cancer cells and their interactions with components of the microenvironment. Damir Sudar, M.S. is a Staff Scientist at Quantitative Imaging Systems, LLC (Qi), a member of OHSU Center for Spatial Systems Biomedicine, and a Visiting Scientist at Lawrence Berkeley National Laboratory. He develops automated microscopy techniques, image data processing and analysis software, and image data management systems. He is interested in integrating imaging modalities over multiple spatial, temporal, and functional/structural scales. He co-manages the Imaging Core, developing and optimizing image data management and image analysis software capabilities, overseeing microscopic imaging and data analysis, and work to enable image data sharing. Michel Nederlof, Ph.D. is President and Chief Technology Officer at Quantitative Imaging Systems (Qi) and a member of the OHSU Center for Spatial Systems Biomedicine. He has 30 years of experience in digital imaging microscopy for life sciences, ranging from basic technological developments, to advanced image analysis, High Content Screening and clinical applications. He founded six biotechnology companies that have created pioneering products in the areas of microscopy research, pharmaceutical drug discovery, and clinical diagnostics. As CTO of Qi, he oversees all technical development on software and analytics integration and is responsible for the imaging workflow of many projects and involved in most aspects from microscopy image acquisition, to analysis, and visualization. Qi co-manages the Imaging Core for the M2CH-CCSB and provides image analytics. Schematic illustration of the interplay between cancer cell intrinsic networks and extrinsic signals that influence aspects of cancer biology and response to therapy. Overview of the Measuring, Modeling and Controlling Heterogeneity Center for Cancer Systems Biology. Project 1 focuses on measuring and managing resistance-associated heterogeneity intrinsic to cancer cells. Project 2 focuses on identifying resistance-associated signals from the microenvironment and on mitigating effects from these signals on therapeutic response. Project 3 applies spatial systems biology approaches to TNBC specimens and multicell type models thereof to discover molecular control networks that influence how cell intrinsic plasticity and microenvironment signaling alter therapeutic responses in complex tissues. Heterogeneity in differentiation state in a TNBC tumor and cell line demonstrated by immunofluorescence staining for differentiation-associated proteins. TNBC is an aggressive disease characterized by high intratumor heterogeneity and poor patient outcome. In preliminary experiments, we identified subpopulations of tumor cells in primary TNBC as well as in basal-like TNBC cell lines that are characterized by differential expression of luminal, basal, and mesenchymal differentiation-state markers. We have observed that distinct classes of targeted therapeutics have the capacity to eliminate or enrich specific differentiation-state subpopulations within these lines, steering heterogeneous cancer cell populations toward increased homogeneity. Importantly, we identified synergistic combinatorial treatments that targeted either pathway dependencies predicted by master regulator analysis of residual cells or epigenetic regulators found to contribute to a cell’s transition to a resistant state. The overall goal of this project, therefore, is to understand cell intrinsic regulation of therapeutic response in phenotypically heterogeneous TNBC in order to develop targeting strategies to kill all co-existing subpopulations. We focus on phenotypic heterogeneity, as this can represent the combination of genetic and epigenetic factors, and we take advantage of clinically relevant therapeutics that drive heterogeneous populations toward homogeneity. We hypothesize that a systems biology approach of measuring and computationally modeling the functional pathways underlying phenotypic state changes in response to state-aggregating therapeutics will reveal common escape routes and regulators of cell plasticity, which allow us to predict effective combinatorial therapeutic strategies that eliminate all cancer subpopulations. We address this hypothesis by (1) examining and computationally modeling phenotype state changes in multiple genetically diverse, heterogeneous TNBC cell lines in response to targeted therapeutics that induce homogeneity using high-content imaging and single cell expression analysis, (2) determining whether clonal expansion or differentiation state plasticity drives the dynamic phenotype changes following targeted therapy and modeling the molecular network changes that underlie these transitions, and (3) determining epigenetic regulation underlying state transitions and developing combinatorial strategies that overcome therapeutic resistance in heterogeneous TNBC cells in vitro and in vivo. Together, these aims support our goal to measure and model cell intrinsic responses to clinically relevant targeted therapeutics and to predict synergistic drug combinations that more effectively control heterogeneous TNBC. Integration of this work with Projects 2 and 3 allows us to incorporate extrinsic regulators of these intrinsic mechanisms and to iteratively refine control strategies for this devastating disease. Schematic illustration of the process used to use microenvironment microarrays to interrogate the effects of microenvironmental proteins on therapeutic responses. The inability to effectively treat TNBC is thought to be in part due to its heterogeneity, as cells are highly plastic and able to respond rapidly to therapeutic insults to steer into drug resistant states. One aspect that is likely to strongly influence TNBC plasticity, heterogeneity, and response to therapy is the microenvironment (ME) in which cells reside. Interactions with extracellular matrix proteins or soluble factors like growth factors and cytokines can profoundly change phenotypic properties of TNBC cells, and mounting evidence suggests that such ME factors also influence response to therapy. We hypothesize that the ME impacts therapeutic response of TNBC, and that consideration of signals from the ME in treatment decisions are likely to lead to improved therapeutic control and patient outcomes. We couple experimental assessment of TNBC response to targeted therapeutics in the presence of defined combinatorial ME perturbations (MEPs) with concomitant expression profiling and computational approaches to define underlying pathway signatures to identify vulnerabilities in residual cancer cells that could be exploited for therapeutic benefit. This is accomplished using microenvironment microarrays to identify MEPs that confer resistance to six targeted therapeutics in TNBC cell lines and primary patient-derived xenograft (PDX) samples. We perform expression profiling by RNA-Seq at fixed time points on TNBC cells grown in the presence of resistance conferring MEPs plus therapeutic and use computational approaches to identify underlying reduced dimensionality network signatures (PREdictors of CEllular Phenotypes to guide Therapeutic Strategies, PRECEPTS) that are altered as a result of interactions of cells with MEP and drug. These altered PRECEPTS signatures represent candidates for therapeutic intervention, and are tested using drug combinations in an attempt to overcome ME-mediated resistance. We perform dynamic imaging and expression profiling of the response of TNBC cells to resistance conferring MEPs plus drug and identify PRECEPTS signatures that are dynamically altered. Such PRECEPTS signatures represent potential transition vulnerabilities that could be targeted for therapeutic intervention, which we test experimentally using drug combination treatments of TNBC cells. These approaches are closely coordinated with those of Projects 1 and 3 in the use of common cell lines, drugs, and reagents and to maximize the information that we derive from the experiments. This approach enables the discovery of new drug combinations that could be deployed clinically to improve outcome in TNBC patients with primary and disseminated disease. Integration of omic and spatial features to identify molecular networks that control molecular heterogeneity. We use a spatial systems approach to identify molecular networks that control development of resistance-associated heterogeneity in TNBCs and to use this information to devise multidrug treatments that are effective in heterogeneous TNBCs. Our focus is on heterogeneity that arises from epigenomic plasticity intrinsic to cancer cells and from extrinsic signals from the diverse microenvironments into which TNBC cells disperse. Individual cells within a TNBC exhibit variable phenotypes and respond variably to treatment so that establishing durable control of TNBCs is notoriously difficult. We explore the mechanisms by which individual cells in TNBC tissues respond to perturbations induced by microenvironment interactions and/or drugs. Our approach is based on the concept that the phenotype and response to therapy of every cell in a heterogeneous TNBC tissue is influenced by its intrinsic epigenomic status and by the microenvironmental signals it receives. In short, every cancer cell-microenvironment-drug interaction in a heterogeneous experimental tissue or clinical specimen is an independent experiment of nature. We analyze ensembles of such interactions in TNBC tissues before and after treatment to determine the impact of local environmental signals on cancer cell phenotype and therapeutic response. We accomplish this using cyclic multiplex immunofluorescence to stain cancer cells for quantitative analysis of proliferative status, differentiation state, and expression levels of proteins that report on control network activity. We quantify cancer cell-microenvironment interactions at the microscale using multicolor fluorescence microscopy and at the nanoscale using multispectral super resolution fluorescence microscopy and 3D scanning electron microscopy. We use custom image analysis techniques developed in the Imaging Core to quantify cell and microenvironment components and machine/deep learning strategies to identify microenvironment-cancer cell interactions that influence phenotype. This work guides development of dynamic models of spatially dependent control network-microenvironment interactions that can be used to devise therapeutic strategies to control TNBCs. The approach is statistically powerful since every tissue section contains details about tens of thousands of cell-microenvironment interactions. We accomplish this by; (1) developing cyclic multiplex immunofluorescence, multiscale image analysis, and machine learning procedures needed to identify molecular control networks in individual cells in TNBC tissues that respond to signals from microenvironmental cells and proteins (MEPs) and that influence phenotype and/or therapeutic response, (2) elucidating the effects of microenvironmental cells and high impact proteins on TNBC control network activity, phenotype, and therapeutic response in bioprinted tissues. (3) assessing the effects of microenvironmental cells and high impact proteins on TNBC control network activity, phenotype, and therapeutic response in TNBC xenografts and clinical TNBC specimens. The Imaging Management and Analysis Core (Imaging Core) provides a common infrastructure for image acquisition, efficient image data management, and quantitative analysis for all projects. It deploys and integrates images from multiple platforms including multiwell high content imaging, microenvironment microarrays, cyclic immunofluorescence workflows and correlative light/electron microscopy. This includes: (1) developing customized workflows for the three high-content microscope systems to acquire and store images and metadata and all derived and associated measurement data, using an open source OMERO image database and our Annot experiment tracking database, (b) providing automated scene segmentation and feature extraction solutions, and (c) developing novel visualization methods to interactively analyze quantitative imaging data, metadata, and externally linked data. These tools and methods are integrated into a highly efficient workflow for acquiring, managing, analyzing, and visualizing the types of high-content imaging data that are generated in Project 1 for assessing phenotypic state changes from drug therapy, and in Project 2 for analyzing the effects of the microenvironment, alone and in combination with drugs, on differentiation state. These data and visualization tools are made available to the community through the Outreach Core in close collaboration with Sage Synapse. The Imaging Core supports Project 3 and image analysis and visualization requirements in all projects by further developing our Dynamic Visualization Engine framework for visualization methods that integrate image data at the level of individual cells, images, and assays; experimental metadata and external annotations; image analysis features such as segmentation results; and interactive quantitative graphs that allow drilling down to all levels of underlying data. The Outreach Core disseminates results, methods and tools from the Center to the broader research community. It accomplishes this by; (a) hosting symposia, workshops, and think tanks that present, train, and extend the state of the art in techniques useful for understanding heterogeneity in cancer, (b) providing access to the bioimaging and genomic data using a custom portal for access, visualization, and interactive analysis based on OMERO (Open Microscopy Environment image database) and Sage Synapse; and (c) conducting DREAM crowd-sourcing activities to seek analytical solutions to spatial systems biology questions, and to identify new methods and approaches for analyzing these data. The Administrative Core provides leadership and supports and coordinates: (a) communications and interactions within the Center and across the CSBC, (b) proposal preparation, management, reporting, and compliance activities, (c) oversight of budgetary and intellectual property issues, (d) oversight of the M2CH-CCSB computational infrastructure and the Resource Sharing Plan, (e) project integration and evaluation (including pilot projects), and (f) external review of the Center, including assembly of an External Advisory Committee (EAC).